1. In a large frying pan, cook the onions in olive oil until lightly or darkly browned. The more browned the onions, the sweeter they will taste. 2. Add the cooked broccoli or other vegetables to the onions and mix well. Continue to cook until heated. 3. 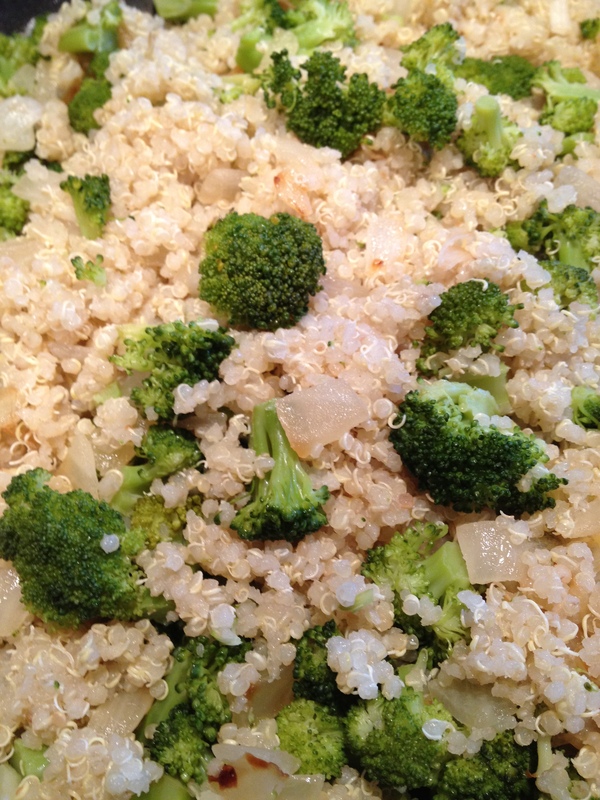 Gently mix in the cooked quinoa, cook until heated. Serve warm as a side dish or cold on a salad.